Once upon a time a film with a Christmas setting was a special treat on television in the weeks before and during Christmas, but so many have been made in the last couple of decades for cinema and US television that the UK’s Channel 5 was able to promise to show at least one each day of December! And their schedule mostly omitted the ones everyone had heard of! My own favourite for a long time has been The Bishop’s Wife, currently lost from most TV screens due to the prominence of the African-American gospel remake The Preacher’s Wife, which is inferior in every way except for Denzel Washington’s respectable stab at the Cary Grant angel role. However, for the very first time this year I saw Holiday Affair, starring Robert Mitchum and a brunette Janet Leigh. Made during the same post-war period as The Bishop’s Wife and Miracle on 34th Street, it has a narrative, which, like the latter, deals with a war widow and her small child and the New York department stores, but, unlike it, has a tough and realistic tone. One more brilliant film which is specifically set on the twelfth day of Christmas, the Feast of the Epiphany, is The Dead, John Huston’s version of the James Joyce short story. “A well-nigh perfect adaptation (with ) the greatest Irish cast ever assembled on screen,” enthused the recently OBE’d Philip French in The Observer when it was reissued to cinemas in 2006. Perhaps wintry rather than Christmassy, since it deals with loss, regret and mortality as much as with celebration and community. Christmastide continues until early January, and Bethlehem is the place where, it’s often said, it’s Christmas every day of the year. It is the place where, Christians believe, Jesus Christ was born, in a cave or stable which is marked by a shrine in the Church of the Nativity. One evening in Bethlehem, October 2012 – Manger Square is located just beyond the buildings in the centre. 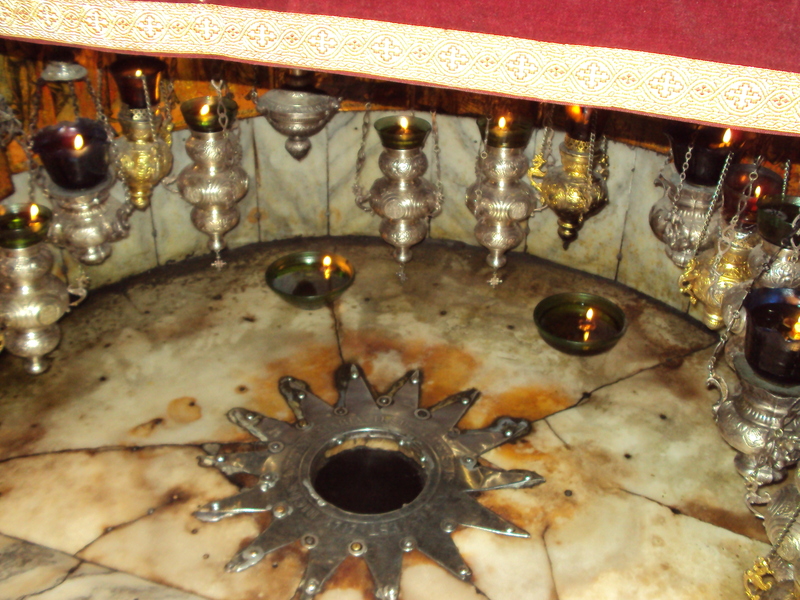 According to tradition, this silver star in the Grotto of the Nativity marks the place of Christ’s birth. Once a year, at Christmas, Bethlehem seems to belong to everyone, the one time of the year when it’s given attention by all of the world’s media. The Washington Post pointed out that, this year, both Israeli and Palestinian authorities had released video messages to attract the world’s Christians. In grimly apposite fashion, the great Christian basilica in Manger Square which commemorates Christ’s nativity is actually looked after by three separate faiths : the Roman Catholics, the Greek Orthodox church and the Armenian Apostolic church. The church where the Christmas Midnight Mass is celebrated so publicly, as in 2012, is actually only one part, the Church of St Catherine. 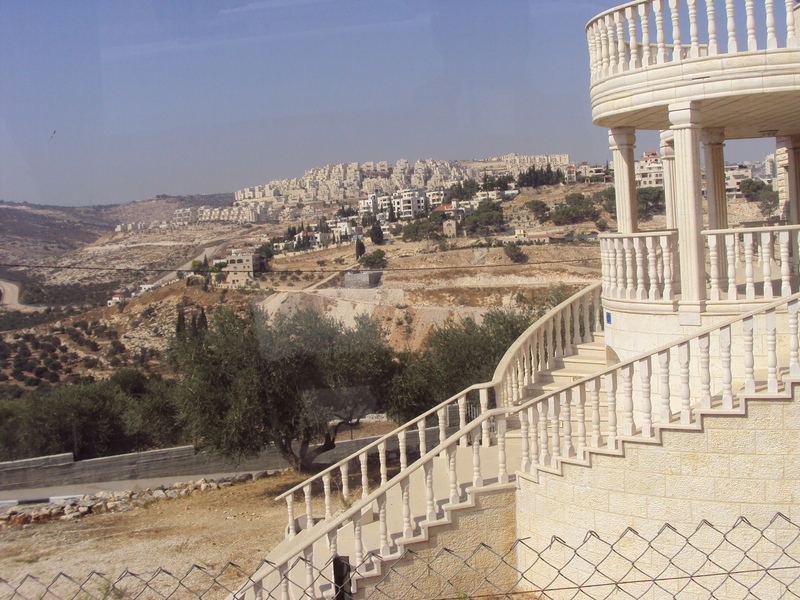 At other times of the year, Bethlehem is very much part of the embattled Palestinian territories, surrounded by Israeli settlements and separated from Jerusalem by the infamous separation barrier. The town has high unemployment and little economic development and is heavily dependent on the tourists who come to visit the site of the Christian Christmas story. 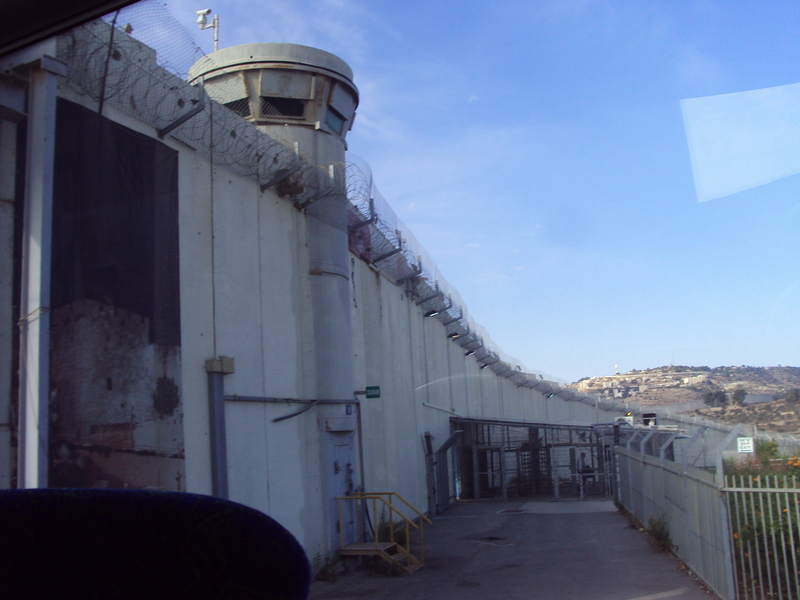 One of the separation wall checkpoints which travellers from Bethlehem to Jerusalem must pass through. In Bethlehem, with one of the many Israeli settlements nearby. The UN’s vote to raise the Palestinians’ status to that of non-member observer state has been welcomed by the people themselves, and so can be seen as a clear step forward in their international fortunes in 2013. Perhaps US President Barack Obama will draw energy from his re-election to push forward the stalled peace process. One definite drawback for international understanding was the closure last August, mostly for commercial reasons apparently, of Bitter Lemons, the news and analysis website run jointly by an Israeli and a Palestinian – although some of their excellent content remains available for the time being.